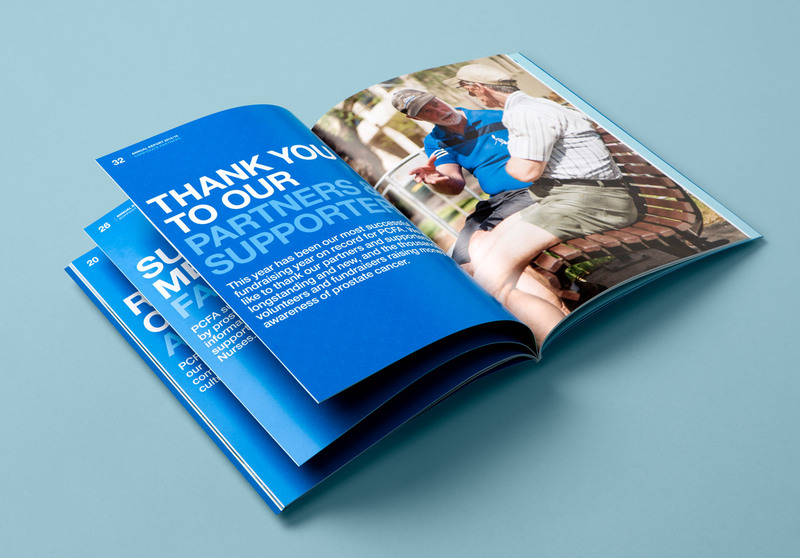 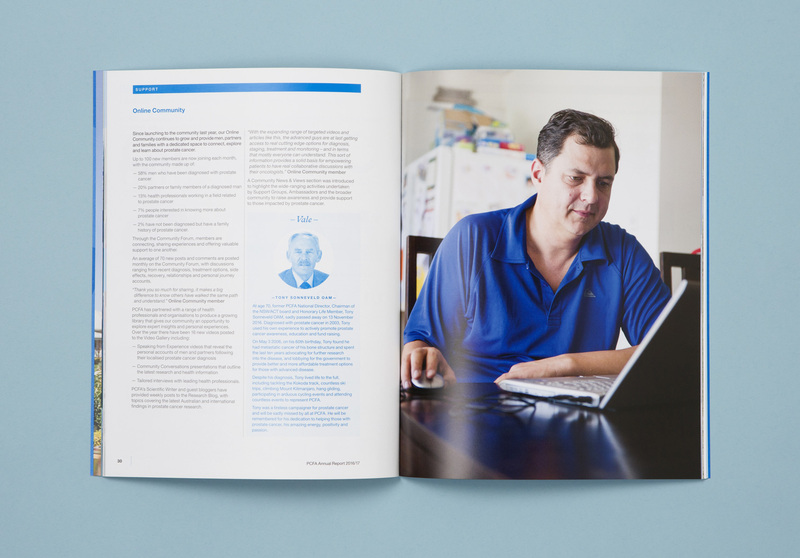 Annual reports for the peak national body for prostate cancer in Australia. 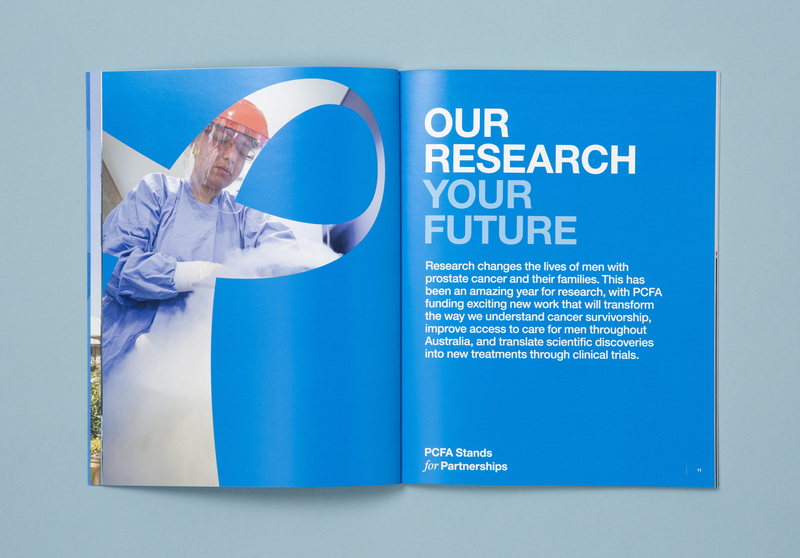 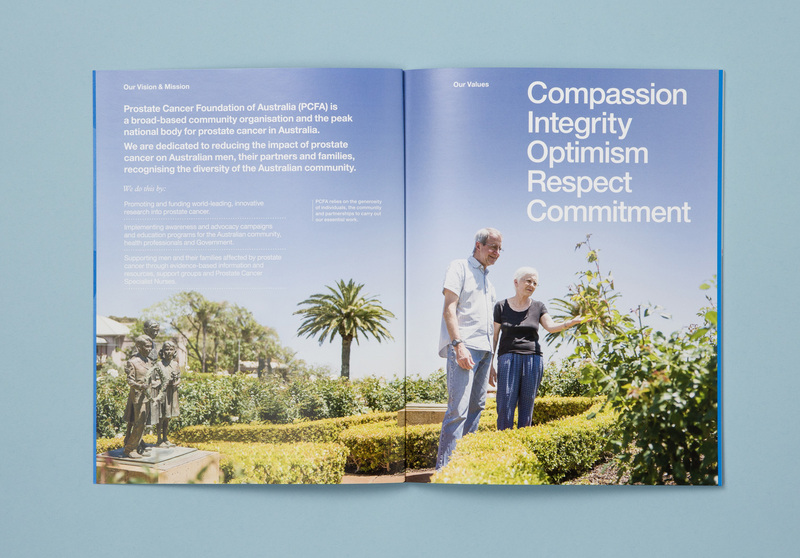 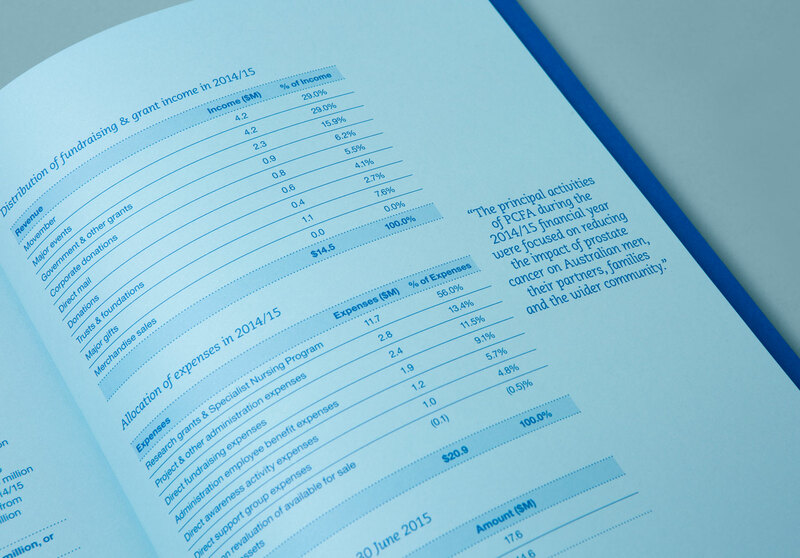 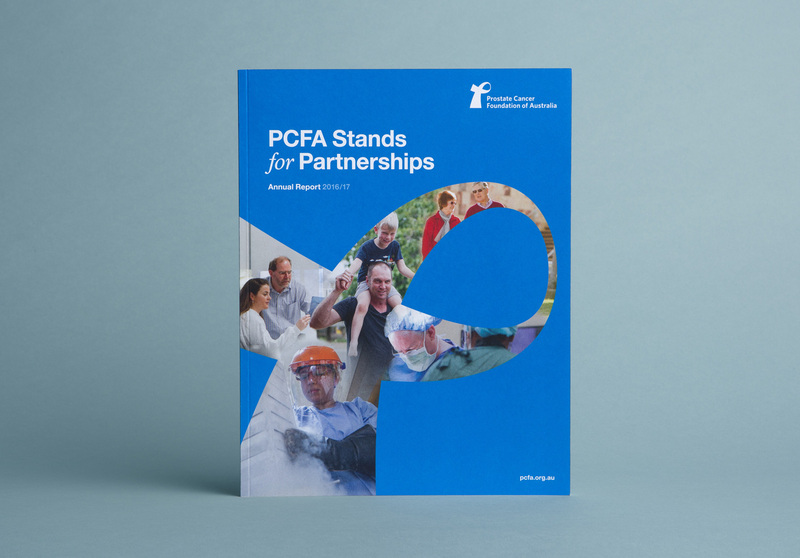 A beautifully printed annual report celebrating PCFA’s achievements and highlights during 2014/15. 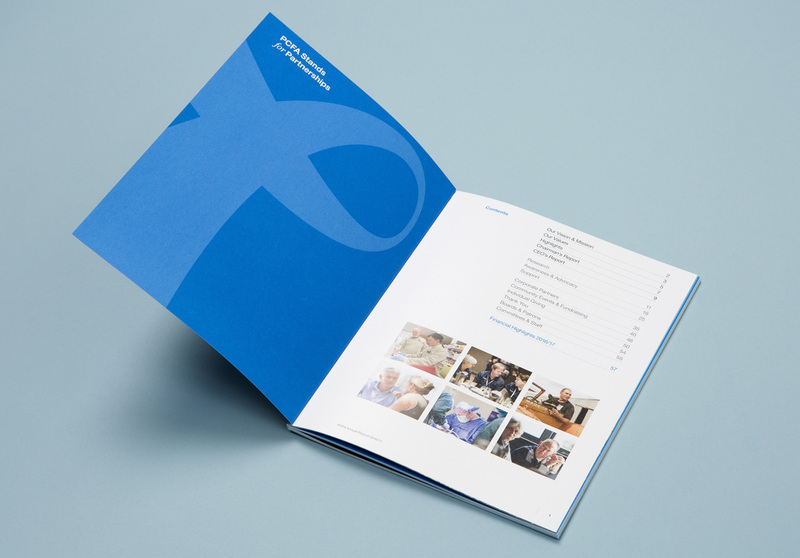 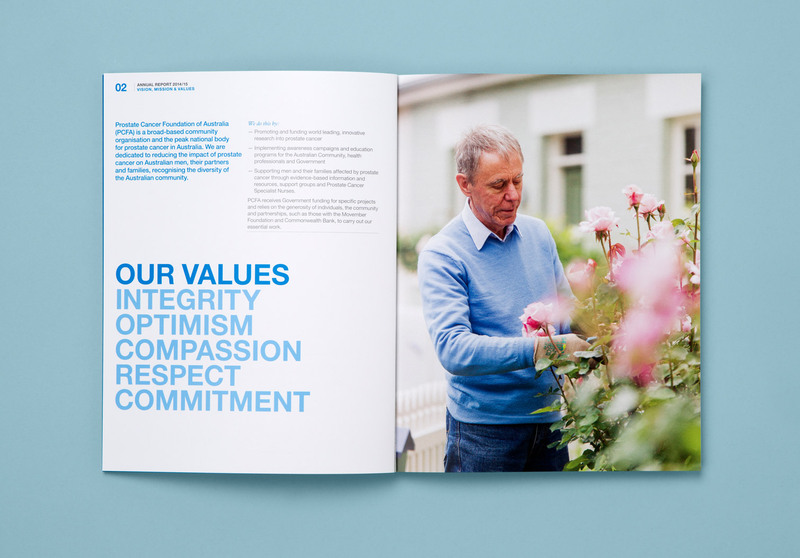 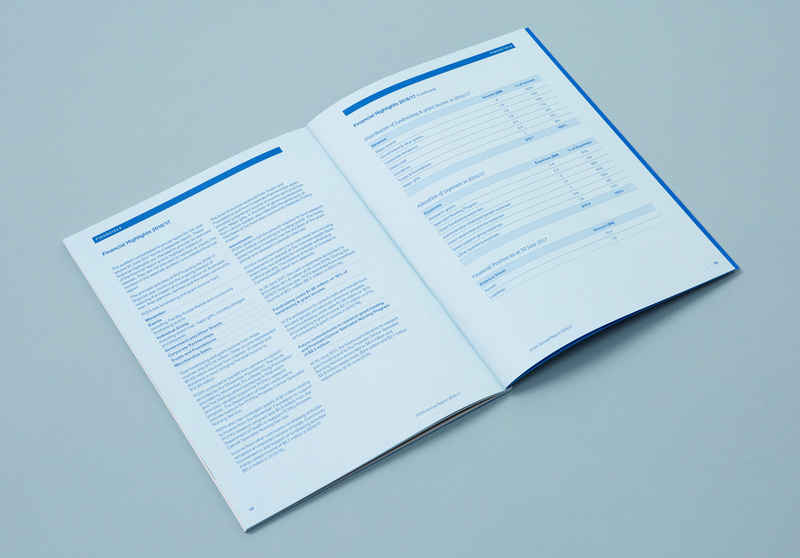 In contrast to the traditional annual report structure which focuses on the past, this report uniquely presented plans for the organisation’s future. 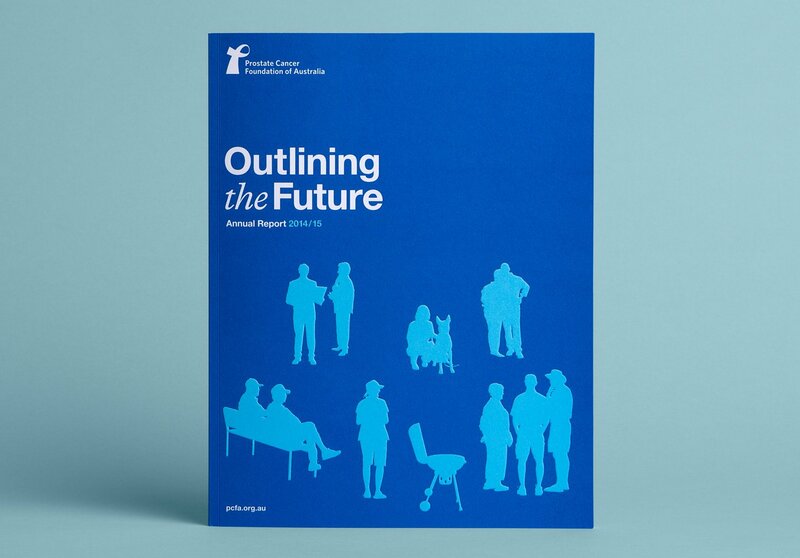 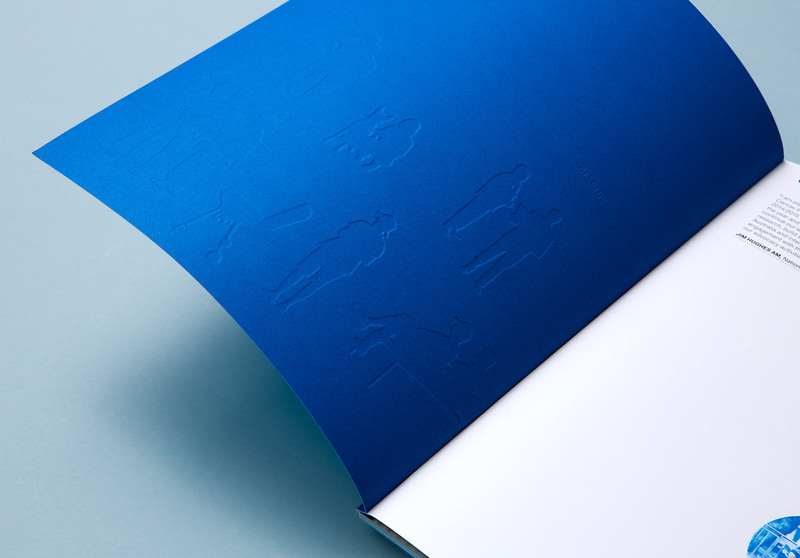 Titled, ‘Outlining The Future’ the 56 page document used a variety of coated and coloured uncoated paper stocks to separate the sections and reduce the cost without comprising quality.